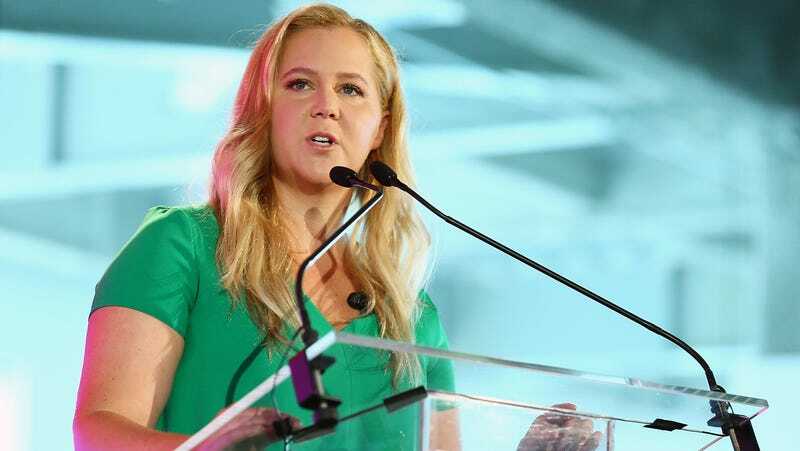 Amy Schumer and celebrity stylist/costume designer Leesa Evans are launching “Le Cloud,” a new line with Saks Off Fifth clearly being positioned as inclusive and accessible. Unfortunately, it stops at size XXL. “My instinct is to be authentic and to empower women of all ages and sizes to do the same. We are making beautiful, comfortable and wearable clothing that is accessible to real women,” Schumer said in a statement, via the Hollywood Reporter. However, again, the clothing stops at roughly a size 20. Can’t believe this is how I learned that my size 22/24 body doesn’t actually exist. Finally, I can burn my Lane Bryant charge card, because a being of pure shimmering energy needs no jeans. It’s really wonderful that Schumer has reached the point where she can feel good about clothing herself—nobody understands that better than somebody who has spent too much time sighing at her mediocre options in dressing rooms, when she could even find brick-and-mortar places to shop, instead of buying online. Too bad this collection will not be extending that feeling to those of us bigger than a size 20. The fact is, we now live in the era of extended Eloquii sizing and Universal Standard. Business is what it is—maybe it would have simply a materially different project to launch with bigger sizes, and it just simply wasn’t in the cards. That’s fine—a new brand can’t do everything. But don’t expect me to weep with joy over your “inclusivity” when it’s literally not. Kelly please look at my last posts. Saks off 5 would t go above size 20 for this initial release. I fought them hard and we are definitely going up to a size 40 after this first run. I posted about that on my insta. I get that you need content but why attack allies? Am I really the enemy? This line is not for me to make bank it is to empowers women. As you know most stores only carry up to a 12. We got them to 20. I regret not checking her Instagram for further statements, and I regret the error. But while the collection is currently being positioned as inclusive, the point still stands: at the moment, it does not include me, or any of my fellow plus-size women above a size 20, and the promise to get to size 40 was relegated to a note on Schumer’s Instagram rather than featured in the initial roll-out.